Dr. Perlman can help you restore the appearance of your gums using minimally invasive gum treatment techniques. Your gums frame your teeth and help showcase your smile. Uneven gums or gums that are too prominent can detract from a smile as much as crooked teeth. When the crowns of your teeth are covered by excess gum tissue, it can make your teeth look too small and you appear to have what is called a “gummy smile.” Uneven gums can cover some teeth more than others, making the teeth look uneven or crooked. Dr. Perlman has extensive experience performing gum-reshaping procedures that correct a gummy smile and re-contour the gumline. 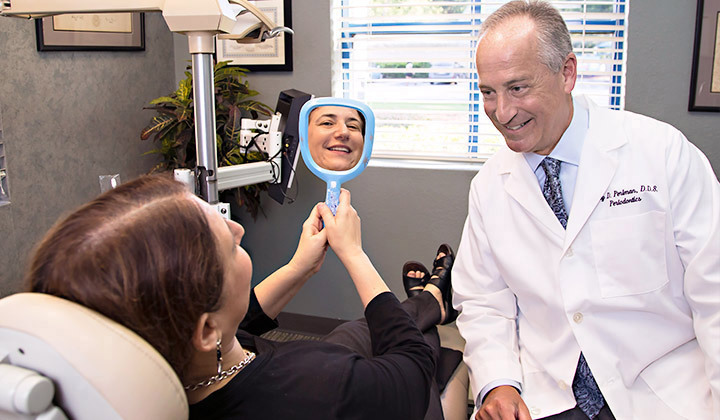 With his meticulous approach and gentle technique, Dr. Perlman can remove excessive gum tissue to reveal your healthy tooth enamel. 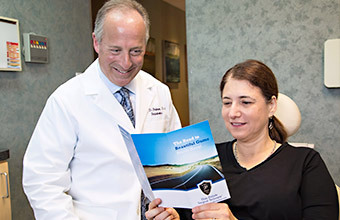 Dr. Perlman explains all the details of treatment during a consultation. Smiles look “gummy” when teeth appear shorter than normal or a smile is dominated by more gum than teeth. While it may appear that the teeth are simply too short and stubby, it’s actually an overabundance of bone and gum tissue covering a portion of the tooth. Extra gum tissue also makes it harder to keep teeth clean, which increases the susceptibility to periodontal infections. To correct a “gummy smile,” Dr. Perlman gently removes the excess gum and bone tissue to expose the full crown of the teeth. He then re-sculpts the gum line to its correct height, width and shape around each tooth. When this is completed, the teeth will appear normal in size, and your smile will look totally natural and attractive. An uneven gum line can create the illusion of uneven or disproportionate teeth, seriously diminishing the symmetry and overall beauty of your smile. Dr. Perlman can correct this by gently re-contouring the gum line around your teeth so your gums are perfectly aligned and your smile is redefined. Gum recession results in exposure of the tooth root. For severe cases of gum disease, Dr. Perlman performs gum recession treatment to cover unattractive tooth roots, thicken the gum tissue and protect tooth roots from decay. 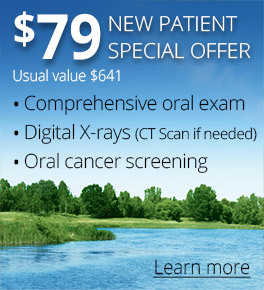 For more info on Gum Recession Treatment, click here. This patient received a crown lengthening procedure to even out their gum line. This patient received treatment for gum recession. This patient received gum re-contouring and veneers to enhance their smile. View more before and afters in our Smile Gallery.